Dr. George Matcuk graduated from the Stanford University School of Medicine. He did his internship at the VA Greater Los Angeles Healthcare System and completed his residency program at the University of Southern California. He is specialized in Radiology and board certified in Diagnostic Radiology. 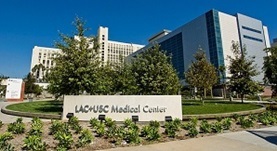 Dr. Matcuk has been in practice for more than 11 years and is affiliated with the Keck Medical Center of USC and the LAC-USC Medical Center. During his career, he has also contributed to various publications of medical interest. Dr. George Matcuk has contributed to 3 publications. Matcuk, G. R.,Mahanty, S. R.,Skalski, M. R.,Patel, D. B.,White, E. A.,Gottsegen, C. J.; Emerg Radiol. 1900 Jan 01. Giant cell tumor: rapid recurrence after cessation of long-term denosumab therapy. Matcuk, G. R.,Patel, D. B.,Schein, A. J.,White, E. A.,Menendez, L. R.; Skeletal Radiol.. 2015 Feb 26. Turf toe and sesamoiditis: what the radiologist needs to know. Schein, A. J.,Skalski, M. R.,Patel, D. B.,White, E. A.,Lundquist, R.,Gottsegen, C. J.,Forrester, D. M.,Matcuk, G. R.; Clin Imaging. 2014 Dec 09.